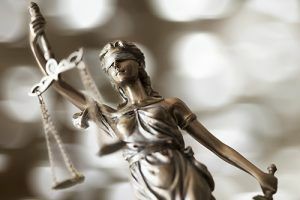 Below are links to the different sections of Boulder Municipal Code Title V. Criminal offenses can be charged in either federal court, state court or municipal court. A federal crime violates US laws, a state crime violates state laws and a municipal crime violates the city or towns ordinances. Each city or township can pass regulations or laws for building regulations, zoning, roads, schools. A city can also pass laws concerning criminal offenses. Violating a city ordinance can carry penalties similar to violating a state law. While a municipal offense is generally considered less severe than a state offense, there can still be hefty penalties including possible jail time in some circumstances. Municipal code offenses can also show up on background checks and negatively impact one's ability to obtain employment or a loan. Why Am I Being Tried In Municipal Court? There is overlap between state and municipal laws. For example, a third degree assault case can be filed in state or municipal court. The arresting officer will have discretion on where to file the case and they take into account such factors as seriousness of the case and prior criminal history. The city keeps any money from court fines and fees when a case is resolved in municipal court and that may play a part in the officers decision. Anyone charged with a crime should consult with an attorney. There may be ways to avoid a permanent conviction, such as a deferred prosecution or a deferred judgement. Officers make mistakes and get facts wrong. We often take cases to jury trial. However, in municipal court a jury trial must be requested within TEN days of a not-guilty plea with the jury trial fee and written request. This is essential to preserving your right to a jury trial. 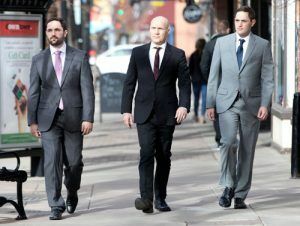 Steven Louth and Zach Louth defend individuals in municipal courts across the Front Range, including Boulder Municipal Court. We offer free consultations to tell you how we can help you avoid a permanent conviction and minimize other penalties. Call our office to get started.